After receiving a first trophy at the “Asia Boating Awards” and then at the “Motor Boat Awards”, awarded by the well-known English magazine Motorboat & Yachting, in the “Best Motor Yacht” category, the MY’s success story continues, as it has just won the “European Powerboat of the Year” at the Dusseldorf boat show. This is a very fine award from a jury of some of the best-known magazines in Europe. 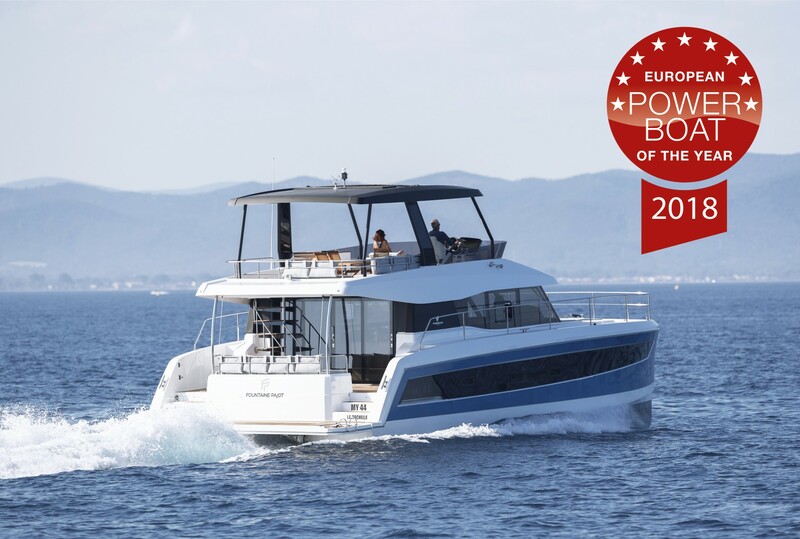 This international recognition pays tribute to Fountaine Pajot’s innovative work and their desire to develop a real Motor Yacht range, marrying elegant design, unrivalled space and incredible performance.